We had a little later start to the day … 8:30am on the bus. 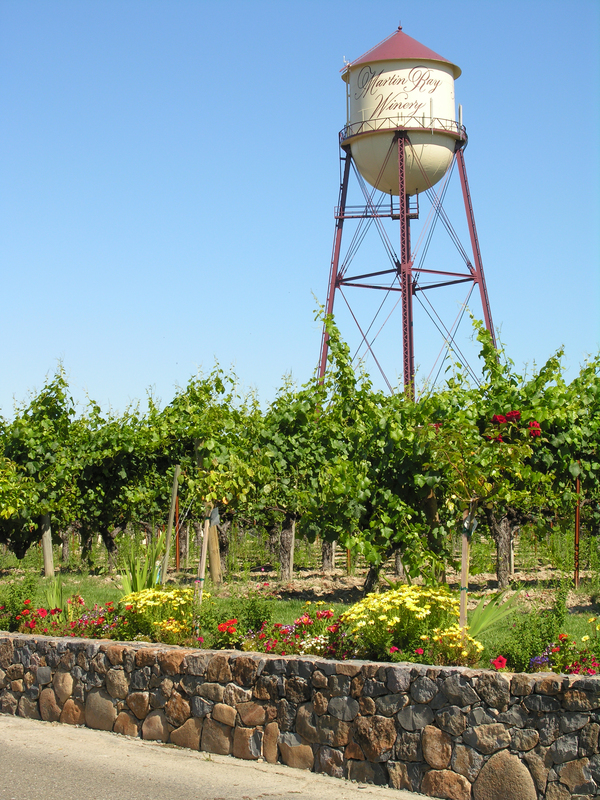 Today’s agenda: Bevan & Jemrose in Santa Rosa, Martin Ray in Russian River, DeLoach in Russian River, Fritz in Dry Creek and Truett Hurst in Dry Creek. This change in pace should be fun; from Cabernet and Merlot based wines to Pinot Noir, Chardonnay and Zinfandel! Bevan and Jemrose met us at their custom crush facility at 9am. Russell Bevan and Jim Mack met us at the entrance and we started off with the 2011 Jemrose Viognier. We then split up into two groups, one with Russell and the other with Jim. 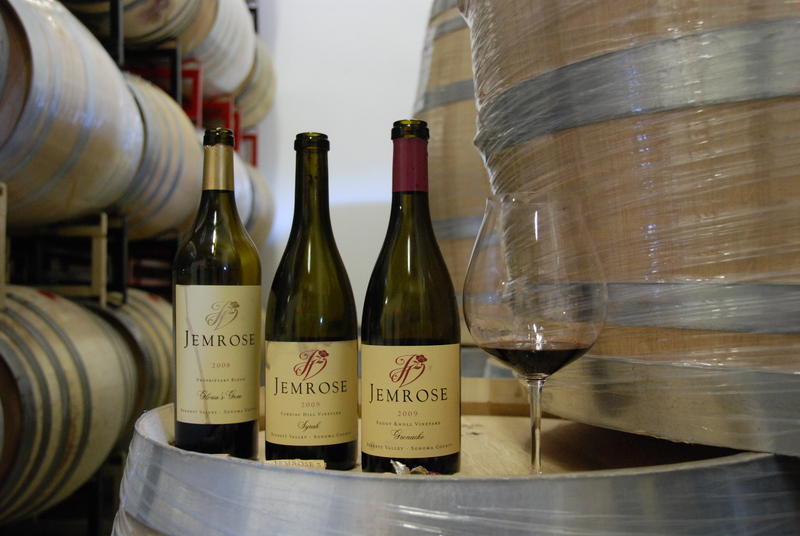 A little background on why these two were together – Jemrose was made by Michael Browne (of Kosta Browne) through the 2010 vintage and from the 2011 vintage moving forward Russell is now the winemaker. This was an interesting tasting. Russell is a character! You can really see the passion and pride for what he does and the wines he makes. He “decanted” his wines in to large plastic pitchers which is funny considering the majority of his wines are $100+ per bottle. Big, extracted wines from Napa, Cabernet Sauvignon, Merlot and Cabernet Franc based, all of them. He was really excited about his Franc wines and so was the team! Jim Mack was pouring his three reds to the other group – Grenache, Syrah and a red blend of Syrah and Merlot. Jim’s passion for the Rhone varietals was evident. I think the 2009 Syrah gets my vote as best wine of the week thus far! A few words about the custom crush facilities I think is important to know. This is how a LOT of wines are made. 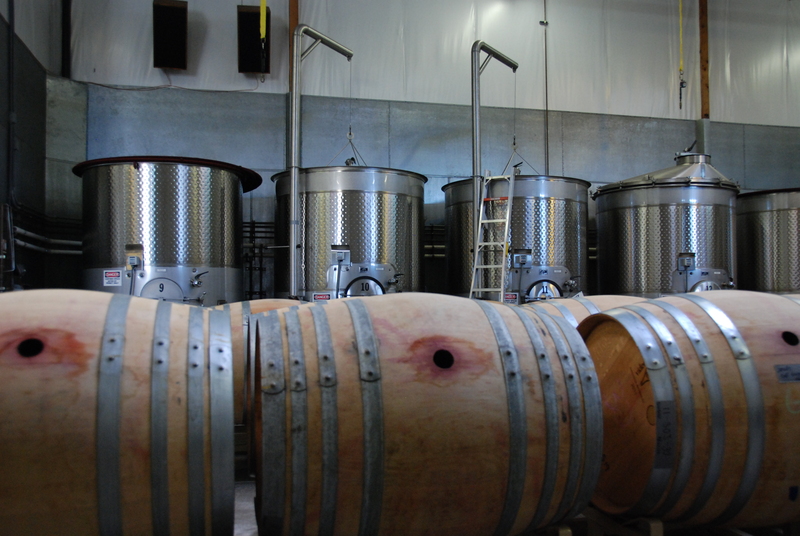 The quality of wine made in places like this are every bit as good as those that are made in regular wineries. In fact, this is usually where brands start until they grow big enough to build their own facility. 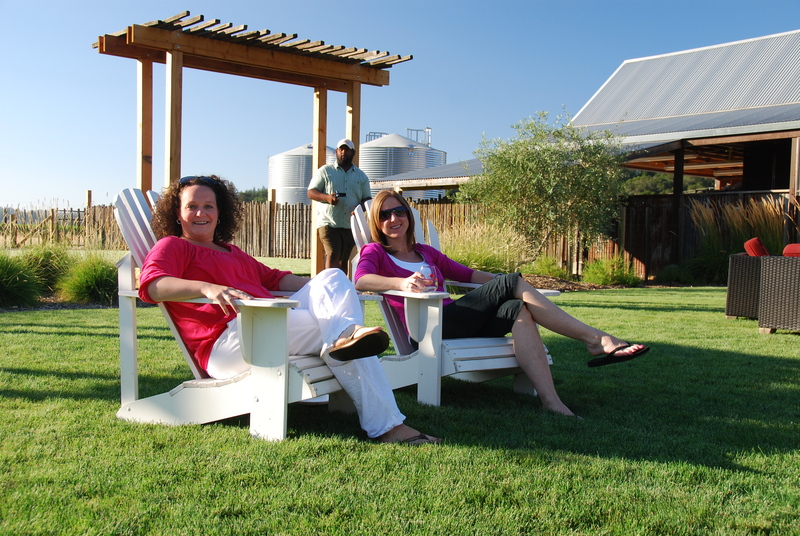 Then we headed out to Martin Ray Winery in the Russian River Valley. Martin Ray is a really popular brand in our stores, so is Courtney Benham. If you’re reading this and haven’t bought one in our stores yet, you should. Courtney Benham and his brother started Blackstone many years ago, sold it and started up other projects. These wines always represent great value in their respective price-points and the tasting before lunch proved that the upcoming vintages will deliver the same. We had a few great treats here. Courtney Benham was on-hand and had arranged for a barrel maker to come and show us how to make a barrel! It was a really an amazing process. The man who did it was a true professional. Another treat for the folks from the East Coast was the beer. 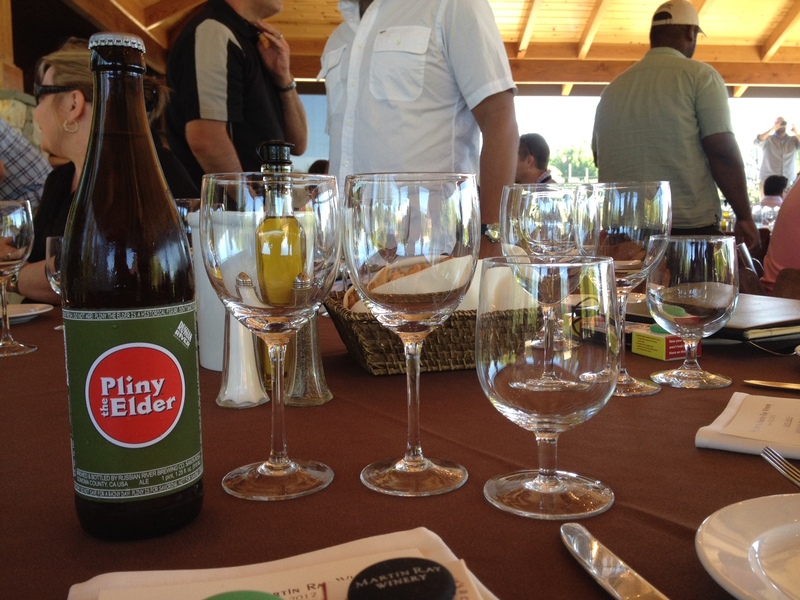 The team at Martin Ray had searched high and low to bring us one of the most sought after beers in the US – Russian River Brewing Company’s Pliny the Elder. There wasn’t just a few of them, there was plenty to go around. Cameras and phones were out to take pictures of the fabled beer. Lunch was fabulous. There was Tri-Tip Steak to pair with the Martin Ray Cabernets. Courtney Benham and his team treated us like royalty. It was a great visit. DeLoach Vineyards was the next stop, about 3 miles away but still in the Russian River Valley. 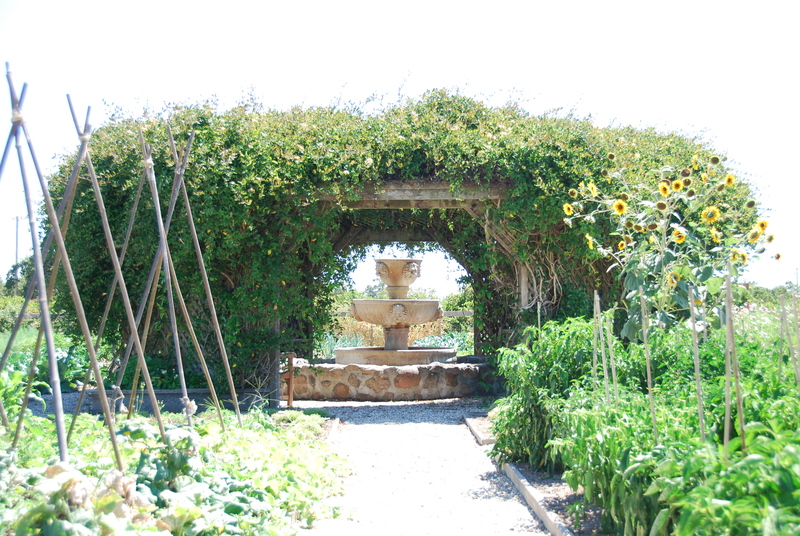 We were given a tour of the gardens and taught about what biodynamic farming is by both the winemaker and assistant winemaker. They were a super low key and easy going team, jeans and tee shirt type folks, which made the staff feel right at home asking questions. We then went into the tasting room and of course, tasted some wine! We ran through the Sonoma Cuvee and DeLoach lines of Chardonnays and Pinot Noirs. All were excellent wines. In between the Chard’s and Pinots they challenged our wine knowledge with a little quiz. That has to be the hardest 5 question Burgundy quiz I’ve ever taken! They sent us on our way with a San Francisco Favorite, It’s-It ice cream sandwiches! If you don’t know what that is, it’s the best chocolate or vanilla ice cream sandwiched between two oatmeal cookies and dipped in chocolate. Just what the doctor ordered on this hot day! 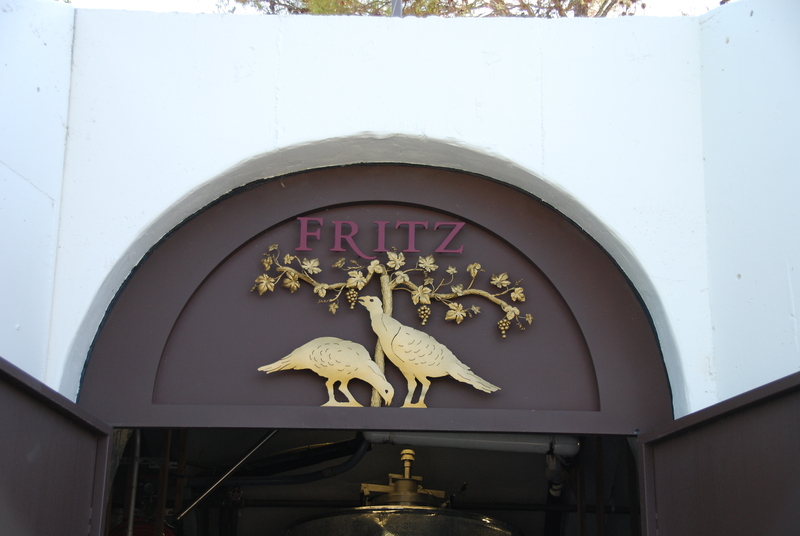 We then headed off to Dry Creek Valley to Fritz Winery. The entire winery in underground and they had set up individual tasting stations for several producers from the area. We had the opportunity to taste all the Fritz wines, Bella, Kachina, Jenner, Puccioni and Lost Canyon wines. We were welcomed in the tasting room, given a glass and put to work. 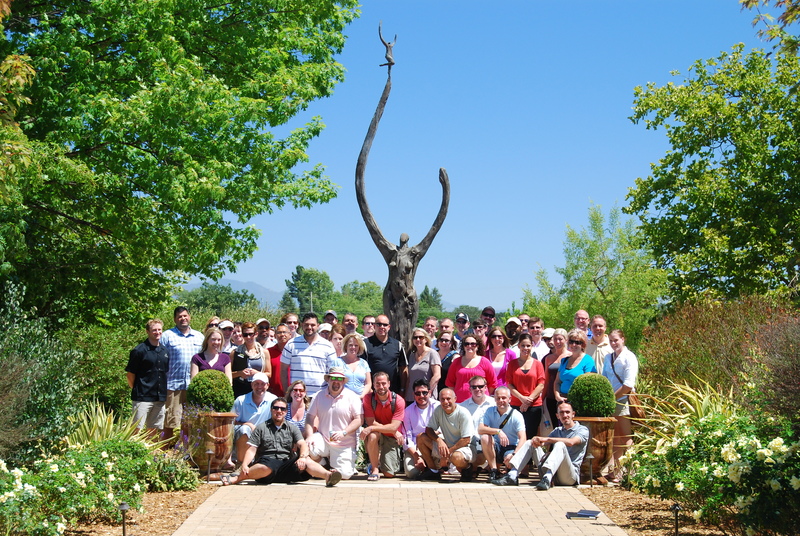 The owners from each winery were behind their tables and excited to teach our team why their wines are special. They were all super friendly folks. The final stop of the day was at Truett Hurst Winery, about 10 minutes away from Fritz in the heart of Dry Creek Valley. The brothers welcomed us with their Rose and Sauvignon Blanc. I was standing in the tasting room listening to what I though was a CD until I stepped outside into the gardens to see that they had brought in a band to play for us! It was nice easy going Hawaiian style music paired with a great crisp Rose. 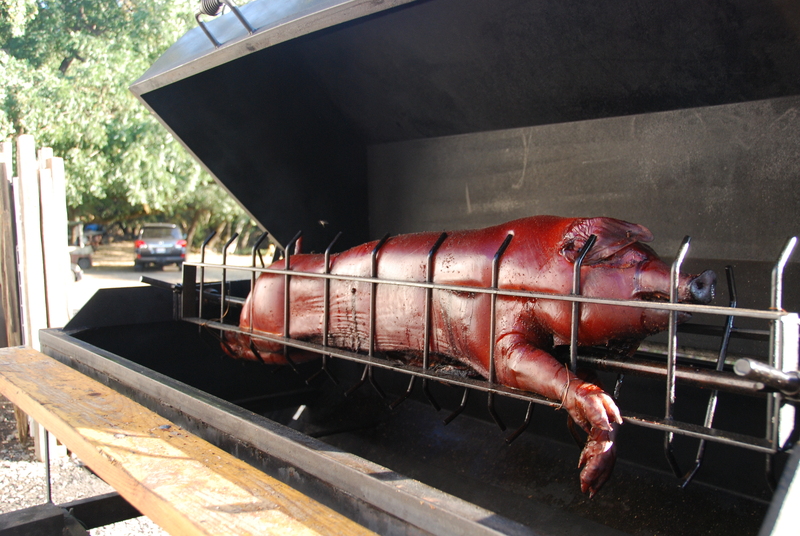 I couldn’t ask for anything more except … a whole pig roasting on a spit, which was part of our meal! It was another fabulous feast with fantastic folks, a great way to close out a hard day’s work tasting wine. wow!! not one comment here in almost a year! Well I’ll be doing the wine tour in Napa/Sonoma soon. Been to Napa a few times but never Sonoma. I want to do blend a little of what you guys did here with a visit to some of the brewery’s in the Sonoma region (Russian River, Lagunitas, etc). If you guys had it to do all over, where would you go?